Voices at CC Tulsa: Don't Be Left Home Alone! Don't Be Left Home Alone! Winter weather can slip into Oklahoma almost any time in the fall and by January it can be quite cold. 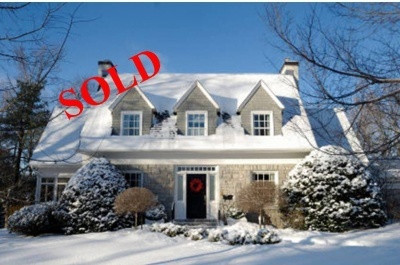 What should you be doing during winter to help your house sell? Always pay attention to the curb appeal by maintaining your yard and garden through the winter. If snow or ice accumulates, keep your home accessible by removal of snow and ice from your driveway to your front door. I know from experience it's a lot easier to show if there's no high drift of snow on your front porch! Winter maintenance tips abound on the Internet. I recommend a start at www.Realtor.com/home-garden. Click the “winter” tab or use “winter” to Search Articles & Tools and you'll find featured articles and seasonal tips on home maintenance. Don't be left with your home unsold this winter!